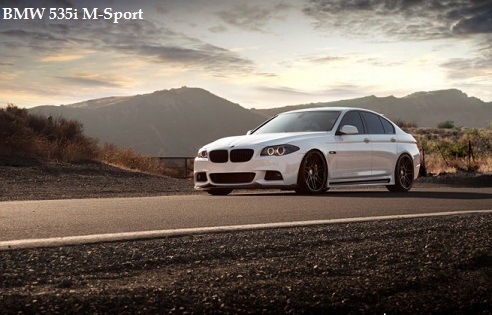 Today we are going to take a closer look at the brand new BMW 535i with the M-Sport package. This exact car is on top of BMW 5-series line and is equipped with all the latest gadgets and optional extras. With the M-Sport package this 535i has sharp agressive styling and looks real sporty but it's a sport sedan after all. 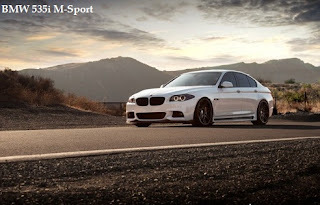 In this video you can see all the new interior as well as exterior trends in luxury BMW sport sedans. The BMW 535i is powered by a 3.0-liter turbocharged inline six officially rated at a little over 300 horsepower and 300 pound-feet of torque. But not by the same 300-horsepower 3.0-liter turbocharged inline six as last year’s car. Share and enjoy.